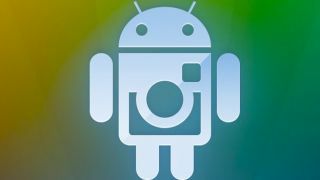 Android smartphone owners are a step closer to owning the phenomenally successful Instagram photo-sharing app. The company, which pledged to launch an Android version of the filter-happy app sometime this year, has now launched a pre-release sign-up page. Android fans can now register their interest to be the "first in line" for the app when it launches "very soon." Instagram has been a huge success for iOS devices, building a user-base of over 27 million. The app became famous for its retro filters, which give photos a vintage, Polaroid-esque feel. A launch on Android would be the next step for Kevin Systrom's booming business, which is aiming to become the de facto destination to upload your mobile photographs. Just last week the company announced a partnership with rival app Hipstamatic to allow its users to upload photos directly to Instagram, where they can be more visible. Instagram first confirmed it was working on an ad-supported Android app back in December, but did not commit to a release date.